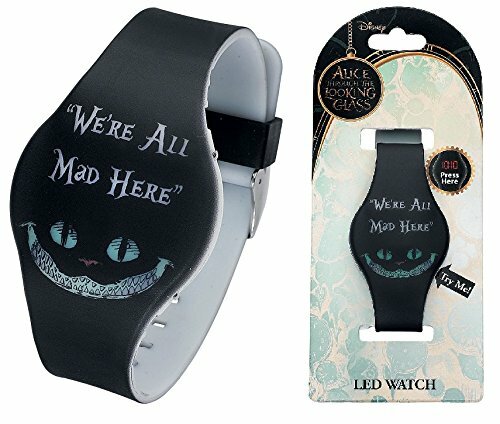 Led watch with Cheshire Cat design. 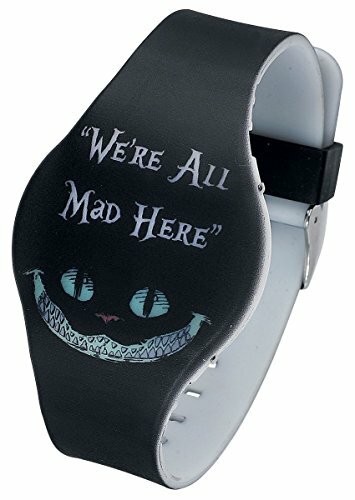 Shows the time when pressed. 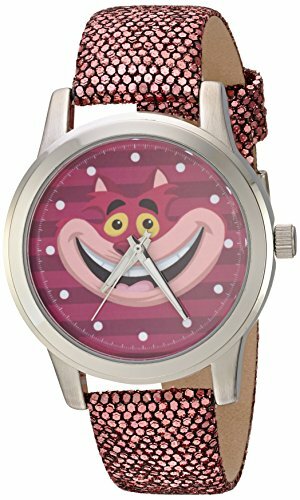 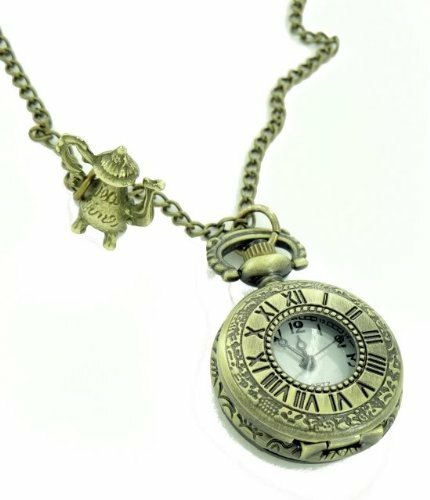 Watch with Queen of Hearts and Playiong Cards design.